BUSIA – The ruling National Resistance Movement (NRM) party has petitioned the Electoral Commission, questioning the nomination of the Democratic Party candidate in the Busia Local Council 5 by-election scheduled for November 2018. According to the NRM party petition, there is a discrepancy between Mt Njoki’s National ID and academic documents which he used to seek nomination, which indicates that the documents belonged to two different persons. “The academic documents he filed with the commission at the time of nomination bear names of Hasubi Deogratias Njoki while the National ID and voter’s names read Hasubi Deogratias. 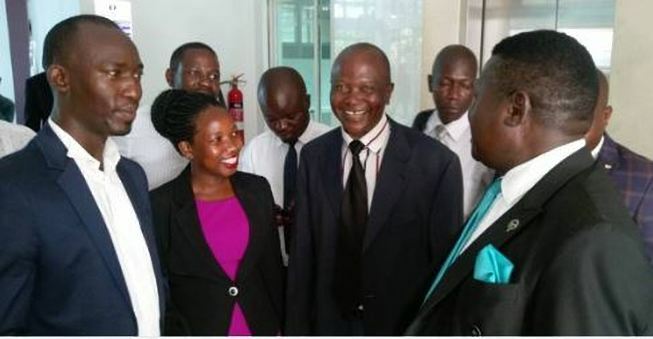 These are two different persons under law and there was no legal document that was filed with the commission at least at the time of nomination to show that the two said persons are one and the same,” the NRM petition reads in part. When contacted, Mr Njoki scoffed at NRM party, saying their allegations are baseless and that the party is scared of losing the by-election. When contacted, deputy EC publicist Paul Bukenya acknowledged receipt of the NRM and said it will be followed up. “ The investigations have commenced and we shall reveal the findings later,” Mr Bukenya said. Busia LC5 chairperson’s post fell vacant in May after the Court of Appeal threw out Mr Ouma Adea who was convicted for corruption in 2013. The by-elections are slated for November 28. Mr Njoki, who is also the joint opposition candidate, has suffered many hurdles since nomination. Last week, he declined the offer to serve on the Uganda Human Rights Commission (UHRC). Addressing journalists at Democratic Party (DP) weekly press conference in Kampala last Tuesday, Mr Njoki said he would have loved to serve on the human rights commission since it’s an independent organ but the will of Opposition mattered more. “I thank the appointing authority for considering me to serve on the UHRC but considering the time when I received the appointment letter on November 8, just a day after closure of nominations in Busia, I cannot make any change,” Mr Njoki said. Mr Njoki further noted that the response he has received from electorates has given him more hope and courage.